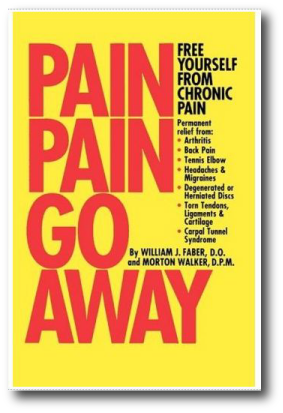 Pain Relief • John Parks Trowbridge, M.D. Limited by pain? Do what you want to do. The truth is that at least 40 million Americans are suffering daily with “arthritis pains.” Millions more, every day, are getting injured with sprains and strains – or worse – that will lead them down the path of painful “degenerative joint disease” as years go by. What’s worse, an estimated 10 – 30,000 Americans die each year from side-effects of the “arthritis” medications available by prescription or (increasingly) over-the-counter. And thousands more will be disappointed that surgery failed to deliver the excellent results they expected and for which they desperately hoped. A modern tragedy is that millions are suffering and dying from joint pains and the side effects of their treatments. But an effective medical treatment has been available for years to help most of these people. And it is available to you and your friends, right now, without surgery, without daily drugs, without a hospital stay. Your friends don’t need more drugs. Or more operations. But that’s all they might ever get if they don’t find out about Reconstructive Therapy. This non-surgical medical treatment has been shown in research studies to strengthen injured support bands (ligaments, tendons, and capsule) that surround joints. Stronger “soft tissue” bands allow your joints to function more normally again. This, in turn, increases your mobility and flexibility and reduces your pains. Reconstructive Therapy (RT, for short) accomplishes these miraculous results by turning on the natural healing processes already found within your body. The miracle of healing is a major part of your birthright as a human being. The body has known how to repair itself for thousands of years before there were doctors and drugs and operations. But doctors prescribe drugs (aspirin, “anti-inflammatory” arthritis medications, cortisone) that retard the healing process. And they do operations that remove structural pieces, often reducing the overall strength of an area. And they usually underestimate the importance of ligaments and other “support bands” in maintaining proper and painless function in your neck, back, and other joints. Are you worried about a future of suffering with headaches? Neck and back pains? Joint pains or “arthritis”? Being confined to your house – or a wheelchair – or even just your bed? Are you hoping to avoid surgery? Or daily medications? Or a future of “rusting” in your “golden years”? Regular medical care for neck and back pains and joint arthritis and headaches has sometimes been based on a misunderstanding that daily drugs (anti-inflammatory medications, aspirin, and cortisone) and surgery are the only options — besides “learning to live with it.” Yet, common sense can show how your condition might respond better than you ever hoped. You owe it to your family to find out more. Simply start DOWNLOADING this article now and save the file to your DESKTOP, so you won’t lose it somewhere on your hard disk. Remember that you are free to print copies to share with family and friends but commercial use or any other distribution is expressly prohibited by the copyright owner. THE LEGAL STUFF: Modern drugs and surgery produce stunning progress in relieving human suffering. When results are disappointing, people who are sick and tired of their condition often seek different approaches. Their hope is that natural healing can reduce their discomforts, even help with recovery of better health. Our patient stories are “best case” examples of what has been possible with our programs over the past 33 years. While we cannot promise or guarantee results to anyone, we offer our genuine effort to apply our training, skill, and expertise in caring for you. Presentation of various options is strictly for education and does not constitute medical advice or endorsement of any particular treatment for any specific patient or medical condition. None of the statements have been evaluated by the Food and Drug Administration. All materials on this website are copyright at common law and may be shared with friends and family but may not be distributed commercially in any form without express written permission.